Having recently witnessed my first Japanese tea ceremony I learned that the beauty behind the ceremony is not only drinking tea and sharing the tea with others, but the consciousness of every action, movement in preparation, presentation, and enjoyment. The ceremony in fact is much more about reflection, meditation, and living in the moment than just drinking tea. Although I am not much of a tea drinker I too am a creature of routine and morning meditation. Much like the Japanese tea ceremony, I have a series of actions, movements, and preparations I do to get ready for my day. One such action that must always occur is my morning coffee. When all is still dark and silent I sneak downstairs quietly to my kitchen, turn my stove on until I hear the familiar clicks of my gas stove and wait for the kettle to boil. During this time of patiently waiting for the water to boil I meditate and reflect on how I am feeling, how I slept, and let both my body and mind consciously connect while taking deep breaths and listening to the background sounds of slowly bubbling water. With the whistles of my kettle I am brought back to the moment and like a dance I have performed hundreds of thousands of times previously, a series of moments I can practically do with my eyes closed, I gather all the instruments and ingredients I need to make my first cup of coffee. With each deliberate movement I am now focused and have only one goal - to achieve the perfect cup of coffee. With the help of my Melitta ‘Pour Over Coffee Brewing Cone’, I am in control of how much coffee I want to make and how strong I want to make it. Usually for my morning coffee I use 4 tablespoons of coffee and make two cups - one I like to drink when it’s fresh and hot and the second I let cool for an ice coffee later. No matter what your coffee preference, weather you like your coffee flavoured, bold, dark roast, organic or even on the go - you can make coffee your way every morning with Melitta Pour Over Coffee. Once ready and when the rich aroma of my perfect cup of coffee hits my nose I like to move to the couch, cuddle up to my little Frenchie who is often still snoozing and take a moment to enjoy what I have created. With each sip my mind turns on and I am able to reflect and focus on what I want to accomplish in my day ahead. Believe it or not sometimes great inspiration is born in these still moments of reflection. Today as I was sipping my morning coffee I reflected on a cooking class I did on my recent trip to Italy. 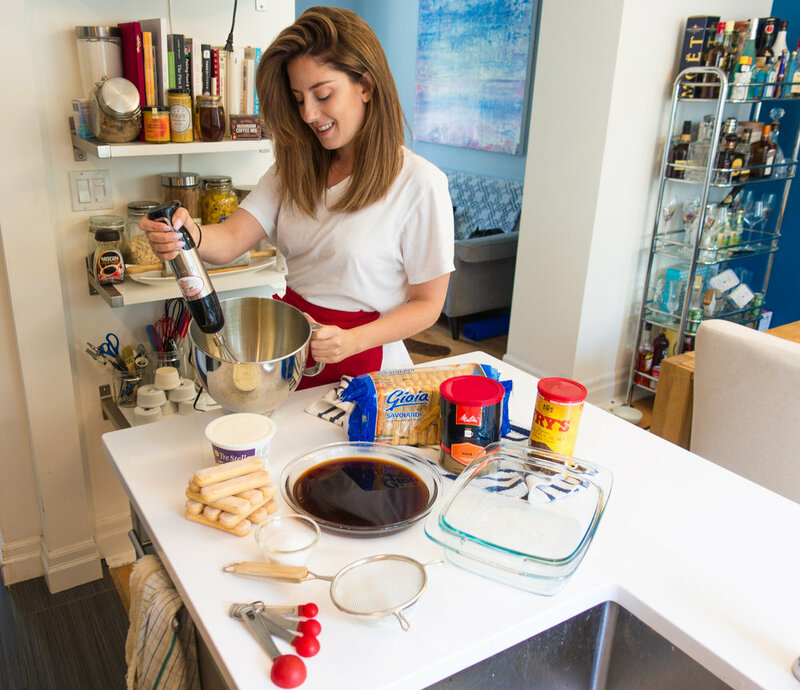 Inspired by both the memory and my morning cup of coffee I decided to turn that second cup of coffee into a delicious Tiramisu dessert I learned. And with that memory and inspiration I here leave you with a recipe for creating your own delicious Tiramisu and encourage you to find the joy and inspiration hiding in your own perfect cup of coffee. Enjoy. 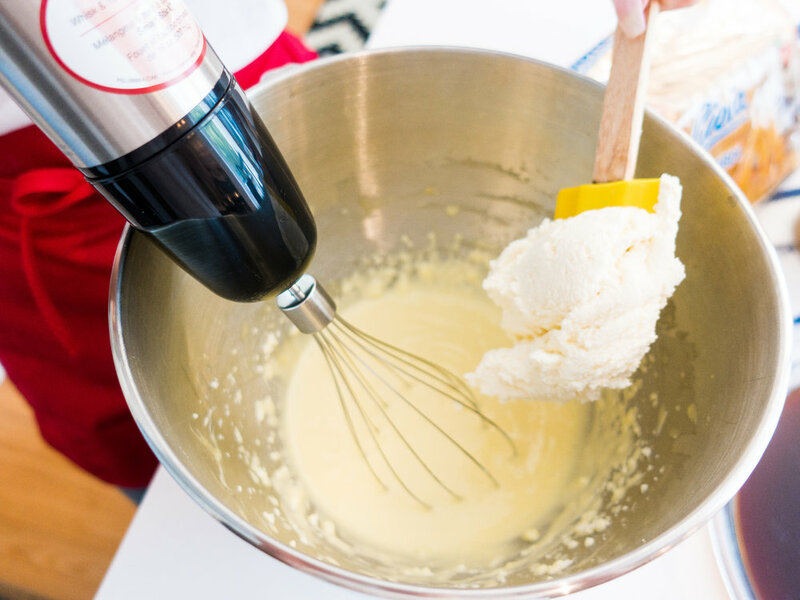 Mix the egg yolks with the sugar using a whisk until a soft cream starts to form. Add the Mascapone cheese in bit by bit being careful not to dissolve the texture. Once a nice cream base is formed if you want, you can now add in a couple drops of your almond extract or rum for additional aroma. Fill the bottom of an individual sized mason jar, teacup or if you only want to make one large one for a group, cake pan with a layer of cream. Next dip the lady finger (you may need to break it in half depending on what you are using to hold your tiramisu) into the coffee quickly so it gets submerged but doesn’t crumble from holding to much liquid. Place a lady finger layer on top of cream layer. 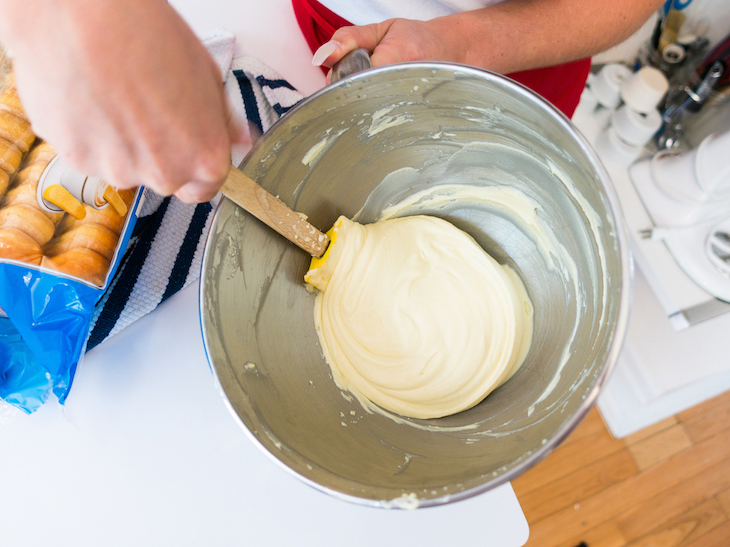 Repeat alternating these two processes of cream and ladyfinger until individual mason jar, teacup or cake pan is full. Add final layer of cream to the top if you did not end with cream and sprinkle sifted coco powder over top. Store in fridge until ready to serve. Although this post has been generously sponsored by Melitta Canada, the opinions and language are my own, and do not reflect Melitta Canada. I love Garlic bread! Its one of those things that is so hard to resist when set on the table. What’s not to like about warm bread, cheese and garlic right? Kids love it and it’s a great accompaniment with any Italian meal. This recipe I originally got from Rachel Ray and I was very happy how easy and fast it is to make and I just had to share! Enjoy!!!! Heat up the garlic butter and olive oil in a small pan over medium heat. Remove bread from oven, cut into chunks and serve warm.